I have a college education. I am poor. These two descriptions didn’t use to exist together very often, but thanks to the new economy and a healthy dose of artistic temperament they fit together in my life quite neatly. During my college years, I used to take pride in putting together funk-ily furnished apartments, dressing in thrift store finds (it was the 90’s after all) and reading all the beatnik-era classics I could get my hands on. One of my favorite forms of decorating has been to find an old book case, cover it in some ethnic, vintage fabric, plop a trailing plant on top and then fill it with ALL my books and a few nifty albums. It looks great, and it’s functional—where else would I put my hordes of books? In stacks on the floor? But these days, I certainly can’t buy all the books I want to read, even when they’re used books (a kind with a history), so that’s why my home away from home is the Public Library. No, I’m saying it because I love to read, I love the services the public library provides for free, and because the best way to be less obscure, or even less stupid when you’re poor, is to read. Read and learn and get yourself educated. I, personally, am a card-carrying member of the Contra Costa County Library system— found easily at ccc.lib.org, as well as the physical edifices in Walnut Creek, Danville, El Cerrito, Antioch, Pittsburg, and all over Contra Costa County. In the Bay Area, Alameda County has its own library system and Berkeley is an entity all unto itself—no surprise there. I hear that the Rancho Cucamonga Library in So. Cal “rocks” as well. That is, by the way, a direct quote—thanks, Aletha. Here’s how you to make it really work for you: if you know of a title or author, or movie title, (yes, they’ve got movies, too, and I only had to wait about two weeks for a copy of Eclipse to come in… but don’t tell anyone that I wasted two hours of my precious time watching it. My time, but not my money.) just enter it into the search field, let the system work its magic and then, voila, you just enter in your library card number and your last name and tell them when and where you want to pick it up. It couldn’t be easier, and it enables bibliophiles with kleptomaniacal tendencies to collect books, magazines, movies and cds (formerly know as books on tape) on all manner of subjects. The Female Brain by Louann Brizendine, M.D. Rechenka’s Eggs by Patricia Palacco. All of which broaden my knowledge of various aspects of my life, Grey Gardens not withstanding, unless I plan to become a reclusive and eccentric old woman who feeds feral cats and raccoons. At this rate, it could happen. The other nifty thing about libraries is the free stuff and cool, free events. 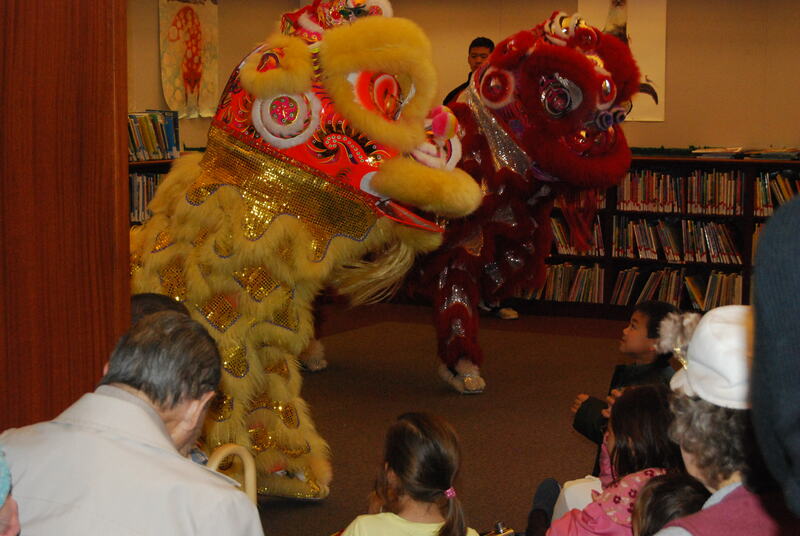 I’ve picked up a few old tour books for free, a nifty decorating book for a mere dollar, and taken my child to the weekly kid’s story time (with the ever-so-patient and animated Mrs. B), and to see a Chinese New Year celebration. Contra Costa also has free coupons available with a library card. Your public library—you can’t beat the price or selection, for you or your child, and you can’t beat the cool people that work there. Let me know how much you love your public library and your librarian. I hope that’s helpful. I’ve got more if you need ’em. I always write down a book– its title, author and a few notes once I’ve finished it. It’s fun to go back and look at notes, and then I’m able to recommend stuff, too. Thanks for reading, Christie! I always love hearing from you. Oooh! Thanks for the props. If you aren’t so moved to start your own blog (which is both fun and work) then please do content yourself with reading mine (pure fun). Cheers and many thanks again!